ASL (Anime Salt Lake) was fun, I felt I was back in my element again and didn’t feel like awkward or anything. I was supposed to meet with Chris Rager and that just didn’t happen for one reason or another we missed each other during the 48 hrs. Of fun going on. I did happen to catch Chris Ekstrom’s panels “Live Action Anime” and “50 years of Doctor Who 1.5” got the L.A.A on video, waiting for Chris to get back with me on the person who got the Doctor Who Panel on video. While I was there I met up with a young woman named Christina who came out from California just test the waters out for her mini store of anime and manga art and wares. However this young Miss didn’t have any minions to assist her with set up of her table so I volunteered and help her setup her table faster than the other vendors and I then left her to her table and checked in to help her out with some breaks and such. I did get a Persona 4 Mini Scroll Poster which I gave to my eldest daughter due to the fact she is a HUGE fan of the game/animation. I even helped Christina break down and load her rental up at the closing of the dealer room. I also got to meet up with Danielle w/o realizing it was her and her bf, cosplaying as Holo and Wolf. Had I know it was her, I would have seen about sitting down and doing a bit of Q and A for the podcast I assist and help run. I will more or less edit this post and slip in the ASL Cosplay Shots I was able to get from various Regulars I know through mutual circles. OH and ERT were there as well as SETI Their Colorado franchise and for those that don’t know what ERT is? ERT is the Utah Ghost Busters Fan Group, with several Ecto Vehicles and Proton Packs, if there is a ghost to bust? They are your answer. They do a lot of volunteer work in the Utah community, helping out at events and shows and conventions. So if you’re a Ghost Buster Fan? You want to join an awesome group of people? ERT is one the better groups to join up with in my personal opinion. Has far as meeting up with The Hello Sweetie Podcast and Charity Mack? I was unable to connect due to one issue or another. I am hoping to have a Podcast get together at some point because they are fun and they also are involved in the local community at events and get together and conventions ASL being one to mention. Depression has come back again and I’m doing what I can to fight it off again. A friend and on again off again team member of the development team Dave gave me X-Com Enemy unknown and BioShock for later/early Christmas/birthday/Kwanza/Anniversary/ and that helped a bit. It really did, I’m enjoying the X-Com, I’ve never played it myself, but realizing it is built on the Unreal Engine and playing a few missions, I’ve got drawn into it. The game mechanics are quite well done, and the way the mission play outs were well thought out as well. I’ll get over this eventually, but if you see me and I look well rather ragged and long in the tooth? It’s not you, it’s me. Well my lunch is over and I have to get back to work as well. As soon as I get home I am hoping to start moving things from upstairs to downstairs and setting up the office down there. I think it will help the Podcast out as well when we do video casting and peeps don’t have to see the inside of a defunked closet rather a nice bookshelf instead. Anyways, I’m rambling like many accuse me of doing, so this is me, comment if you like and I will respond as best as I can. 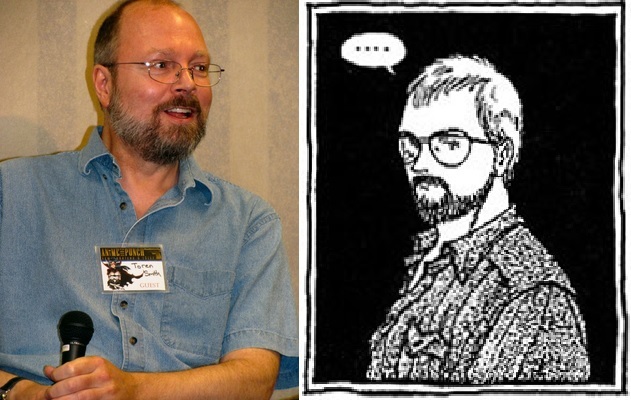 Well, I’m still taken back by the fact that Toren Smith, known Translator of Manga of which the fans will automatically know of such titles as Ghost in the Shell, Orion, Outlanders, Dagger of Kumi, He and Adam Warren they worked together on Lovely Angels AKA “The Dirty Pair” Dominion Tank Police. The list could go on for a while. This is the man that Founded and Created Studio Proteus which is operating now days under the Dark Horse Publication Flag but was The company that brought Orion to the US Graphic Novel/Manga Stands in the US. I heard about late last night around 11 and dropped my Mt. Dew on the floor along with myself as Trish Ledoux posted the news of Toren’s passing. “Toren was not only one of the earliest of us to understand the power and beauty of manga, but he was one of the most well-spoken, erudite, and nicest among we old-school American/Canadian anime and manga fans, too. He was immortalized in “Otaku no Video” for a reason” He was also Immortalized in the 3 part OVA Series “Gunbuster” as Smith Toren. I was hoping for a chance to meet with him before I passed on, myself. Anyways, very disheartening news I for one admire his work in the industry and my hat is off to him. Aim for the top and never look below! Production I.G Announces New Ghost in the Shell Series. In the Feb. issue of Kodansha’s Monthly Young Magazine is a full-text page layout announcing the return of the Ghost in the Shell and our loving Major Motoko Kusanagi to the media again. This is what has been rumored and what fact is. This series is entitled “Arise”, it is a series, and will be on TV. The changes up however will that Kazuchika Kise, the animation director for the first Evangelion movie and Blood+ is to be the head director. Also after checking resources it is also come to my attention that Tow Ubakata, writer of Le Chevalier D’Eon, Mardock Scramble is the scriptwriter for the new series. On a side note, does she look younger in this series? 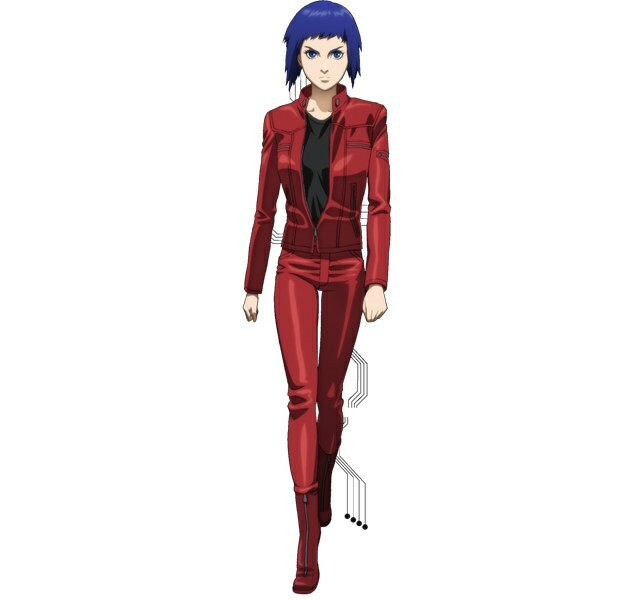 Looks like a cyberntic shell of a 20’ish type of Motoko doesn’t it? Or is it just me? I loved the Stand alone Complex series as well as the GiTs movies, the first one especially. I love a good a cybernetic police force scenario and decent casting for the characters, lead and supporting. I’m hoping that we’ll get a preview clip of “Arise” here in February, but only time will tell on that one. I am looking forward to this series when it does come out though. I suspect a late Summer start on this unless it will be a Q4 release of the 2013 lineup, which is a possibility. An End to the old and a beginning for the new! Ok, well as I’m typing this out I’ve restructured the podcast, have registered or at least applied for a press badge for AnimeSaltLake on March 23rd & 24th where we’ll be covering panels and events from salt lake’s 2nd Anime based Convention. What was received from Christmas and St. Nicholas? I received few pair of jeans, and a nice button up shirt, an omnibus of Genshiken covering issues 4 5 & 6, I also got those great Gashapon figures from Genshiken 2 sets as a matter of fact. So I have 2 Madarames I can build into a set of Genshiken Bookends for the office! I’ve also reconnected with someone I didn’t think would still be around from the old community I hung out a few years ago. It seems that real life had got their meat hooks into him and made him get a social life somehow. Well he’s clipped those hooks and seems to have got back on track with writing and such and doing the net shtick again, which is cool because I’d like to see how the web comic he was doing before the meat hooks into him and tore him away from that. I really hope he picks it back up, the story plot was good, had some pitfalls which gave the story some attention grabbing. We’ll be rearranging the office and moving it downstairs soon while at the same time rebuilding the old office back into a bedroom. We want to get a futon for our eldest so she has something to sit on in her new room downstairs since she’ll have room in there for one and she can have friends camp out in there as well if need be. 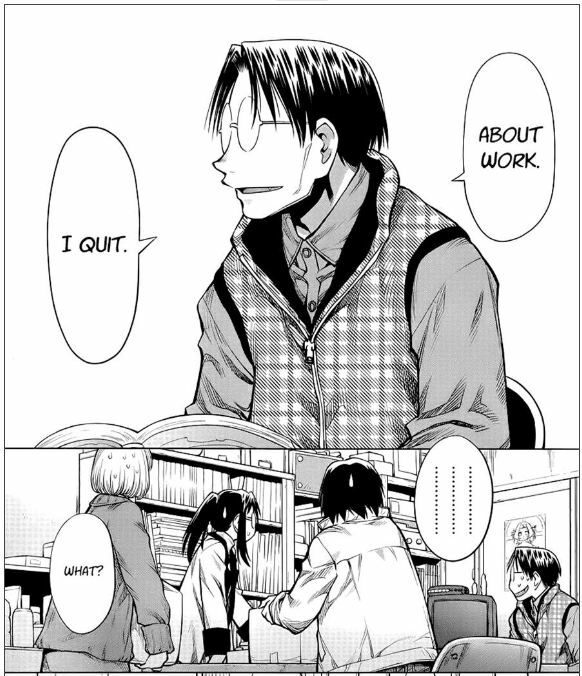 Anyways, I’m currently at the office enjoying the 1st Genshiken Second Season Volume One and it does indeed have a slightly different translation than the scanlations, but it keeps pretty much to what I have read fan wise, which is what prompted me to buy the 1st Vol. and cont. to purchase the series as the volumes get released. Other than that, it will be a peaceful transition from 2012 to 2013, I wish everyone a Decent New Years and we will see you in the New Year tomorrow.